Click on the calendar to view our upcoming volunteer opportunities! Join us on Saturday April 27, 2019! A release form must be signed prior to working at any volunteer event. Volunteers under the age of 18 must have a Minor Volunteer Release Waiver and Media Release Waiver signed by their legal parent or guardian. Throughout the year, there are a variety of opportunities to volunteer with Habitat for Humanity Inland Valley. Volunteers help with fundraising events, construction, exterior home repairs through our A Brush With Kindness program, the ReStores, committee and office support and more. We try to update our online project calendar as much as possible, but the best way to hear about volunteer opportunities is to sign up for our weekly newsletter for upcoming projects. From there you will pick a project you want to sign up for. No experience is necessary to volunteer. A brief orientation will be provided upon arrival at the event and there will be adequate supervision from Habitat Staff Members throughout the day. 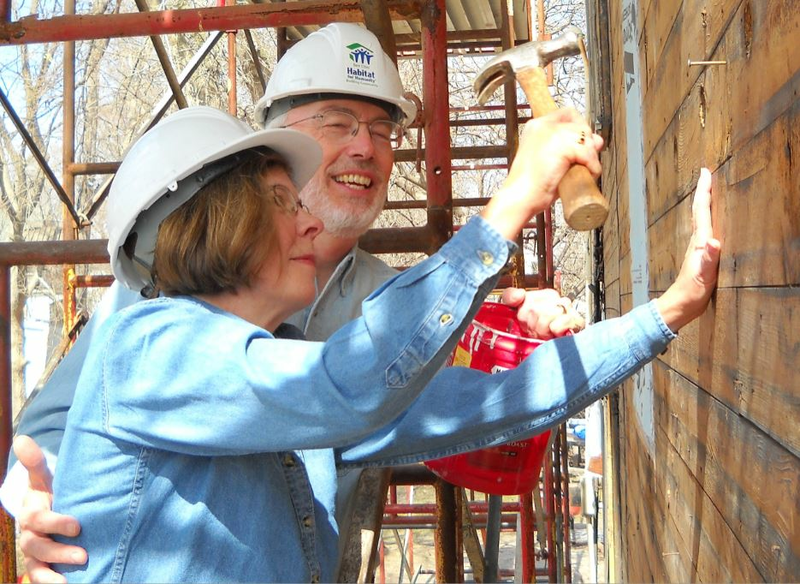 We invite people of all ages to volunteer with Habitat. However, each event will have specific age requirements. To volunteer at the ReStore, on a construction site, or in A Brush With Kindness, you must be at least 14 years old. Fundraising events vary. Our highest priority during all projects is safety. You will be required to have proper closed toe shoes and work clothes. Hard hats, safety glasses and gloves will be provided at the site as required. We also recommend sunscreen and extra water. Do not work if you are on any medications that impair judgment or your physical condition. If you have your own tools, you are welcome to bring them to the site if they are applicable to the job. However, they are not required as we provide all necessary tools. If you do bring any tools, make sure they are marked with proper identification. Any electrical tools will need approval before using. Habitat is not responsible to any damaged or lost tools.